LEVEL 1 - (Beginners 1 - Part A) Attend any class each week! Did you know that we also offer private Chinese classses for companies or private tuition for individuals? Private Skype lessons are also available! We offer a variety of customised courses in both Mandarin and Cantonese. For more details. I'd just like to let you know how happy I've been with the ACCS course. I've tried a few different self-study approaches to learning Chinese and it just didn't happen. The ACCS course has really helped and I'm enjoying myself as I go. 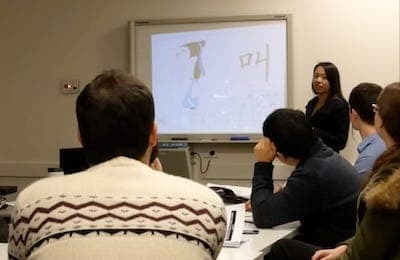 Ling Sea is part of what makes learning so much fun, and I'm very happy to hear that she'll be the teacher for the Monday class.